Meet Melissa and MJ! Their wedding will be at Laurita Winery this August. It's been quite a while since we've been there but it is one of our favorite venues and we couldn't be more thrilled to be back! Melissa knew exactly how to pose and their natural laughter to some of our prompts made them so photogenic.. love all these pictures! And doesn't Melissa look flawless with no makeup on?! I wish I could do that, lol! 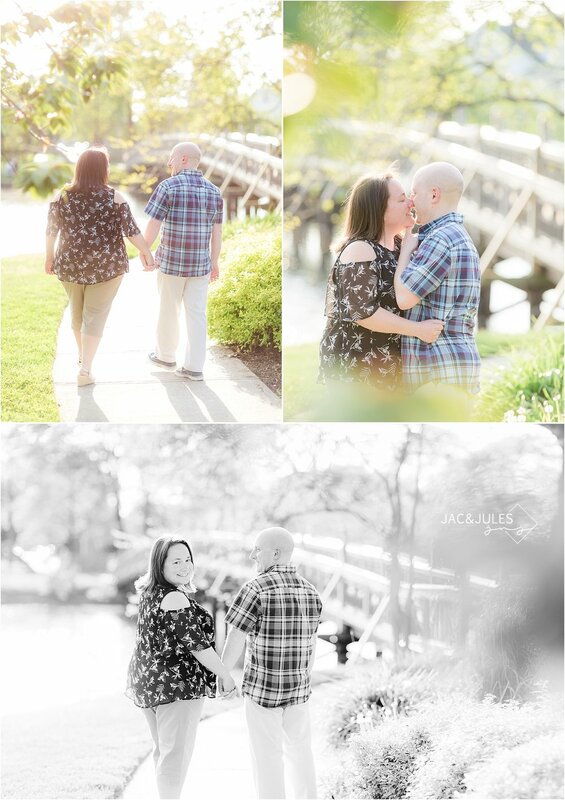 Take a look at some of our favorites from this engagement session at Divine Park in Spring Lake, NJ.